Mr. Jarkas is a highly experienced financial service executive, with over 20 years of international banking experience. Currently, Mr. Jarkas is the Chairman and CEO of Cedrus Group, a global boutique investment firm, he founded over decade ago. The Cedrus Group has offices in Hong Kong, Shanghai, Beijing, Jakarta, Cayman Island and New York. Prior to founding Cedrus Group, Mr. Jarkas held senior-level asset management positions at some of the world’s leading investment firms, including JP Morgan Chase, Merrill Lynch and CIBC Oppenheimer. 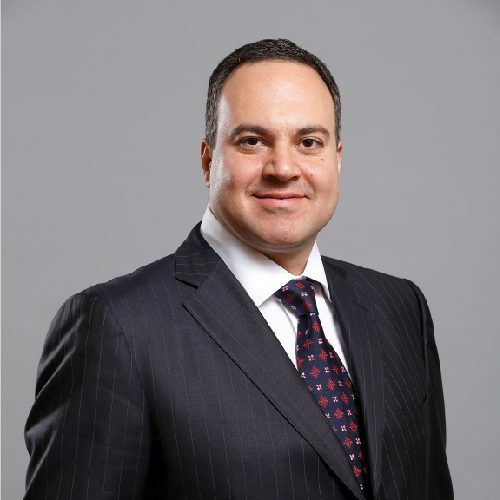 During his tenure at CIBC, he was the Executive Director – Investments, a member of the exclusive Chairman’s Counvil and consistently ranked among the top-25 Portfolio Managers managing money for pension funds, family offices and sovereign funds. Mr. Jarkas is a Certified Financial Manager and holds B.A.s in Finance and Accounting from Georgia State University.